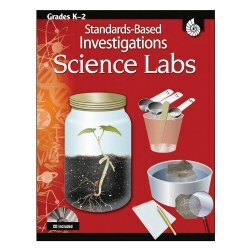 Kaplan's large collection of science resource books helps parents and teachers demonstrate critical concepts in science. 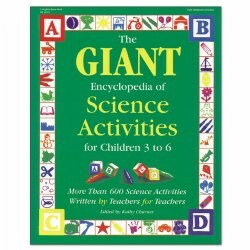 These books use fun activities and experiments to display basic scientific theories and discoveries. 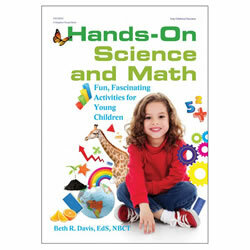 Products include books, activity kits, cards, flip charts, and more. 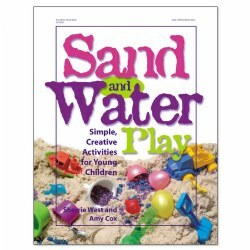 Packed with more than 70 ways to invigorate play with sand and water tables while encouraging problem solving skills, fine and gross motor creativity, and imagination. 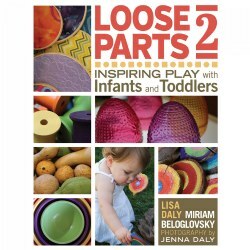 Children will learn creative ways to explore and discover on their own! 3 - 6 years. "Why did that happen?" "How does that work?" "What will happen if . . . ?" Young children ask questions about the world around them all day long. They are filled with curiosity and the desire to learn. 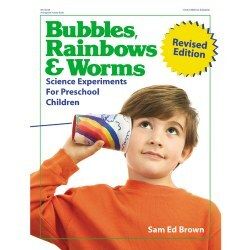 Bubbles, Rainbows and Worms teaches children about the world, using hands-on experiments about plants, the environment, air and water, and the senses. 111 pages. 3 - 6 years. 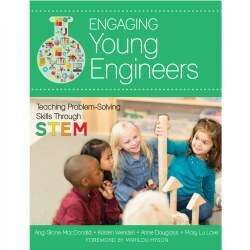 Written by teachers for teachers. 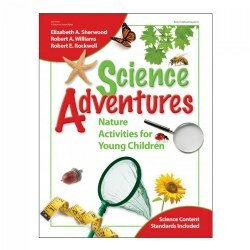 Contains over 600 theme-based science activities to help children observe, predict, order, and explore. 575 pages. PreK & up. 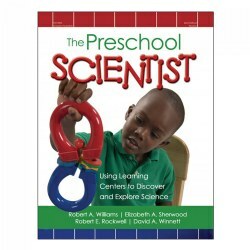 Self-directed, open-ended activities incorporating daily events and ordinary materials help children easily learn science and math. 246 pages. Grades K - 2. 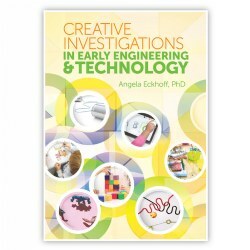 Teach scientific concepts and the inquiry process with hands-on investigations that improve students' critical thinking skills. 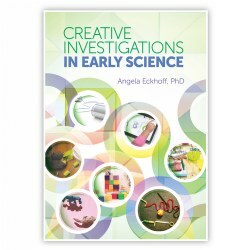 Students will learn the scientific process and build content knowledge through collaborative group investigations. 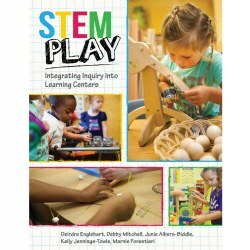 Scaffolded activities support differentiation and extension activities are included. 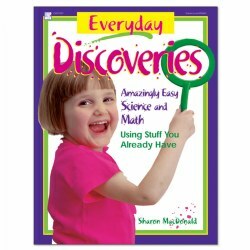 Each Guide includes a Resource CD with reproducibles. 176 pages. 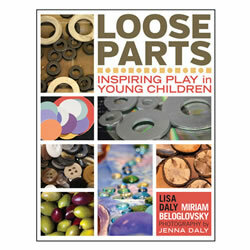 Children learn best through hands-on exploration, observation, and discovery. 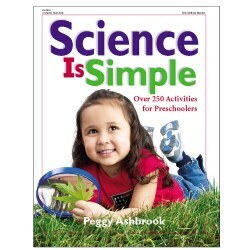 With more than 100 activities, this book gives them the opportunity to actively engage, experiment, create, and discover the exciting world of science. Children will have fun developing problem-solving skills while becoming comfortable with exploring their world. 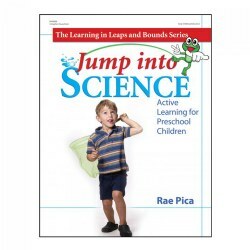 224 hands-on science experiments and ideas with step-by-step instructions delight and amaze children as they experience nature, the human body, electricity, floating and sinking, and more. Categorized by curriculum areas, each activity includes a list of vocabulary words and easily accessible materials. 157 pages. From 'Baby Bumblebee' to 'The Ants Go Marching', children will sing and learn about the insects they encounter in their own backyards. The enclosed CD features 21 fun songs, old favorites and originals. 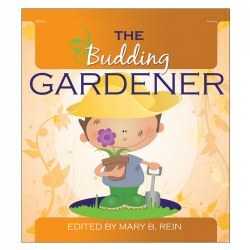 The book offers more than 250 activities that help children appreciate the wonderful world of bugs. All children love to sing and learn, so the book includes both English language learner strategies and special needs adaptations. From 'Down by the Bay' to 'I Love the Mountains', children will sing and learn about our wonderful world. 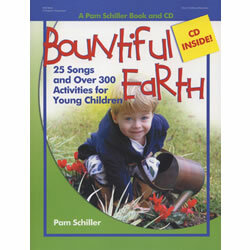 The enclosed CD features 25 fun songs, old favorites and originals. 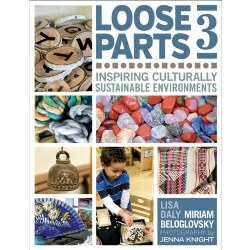 The book offers more than 300 activities that help children appreciate the amazing planet earth that we call home. All children love to sing and learn, so the book includes both English language learner strategies and special needs adaptations. 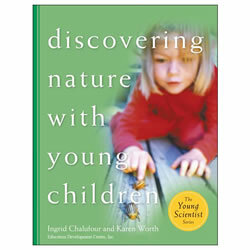 Discovering Nature with Young Children is an inquiry-based curriculum that builds on children's natural curiosity about the living world. 168 pages. 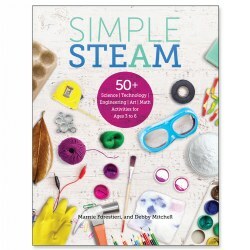 Great resource book with 250 activities spanning 39 concepts. 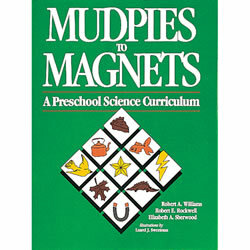 From magnets to bubbles, children will be excited to learn about science and the role it plays in their lives. Paperback. 255 pages. 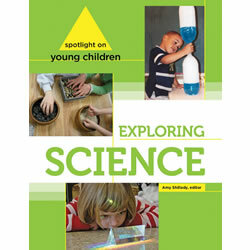 Articles from NAEYC's journal "Young Children" offers ideas for creating science-rich environments and promoting young learners' investigations and discovery. 80 pages.